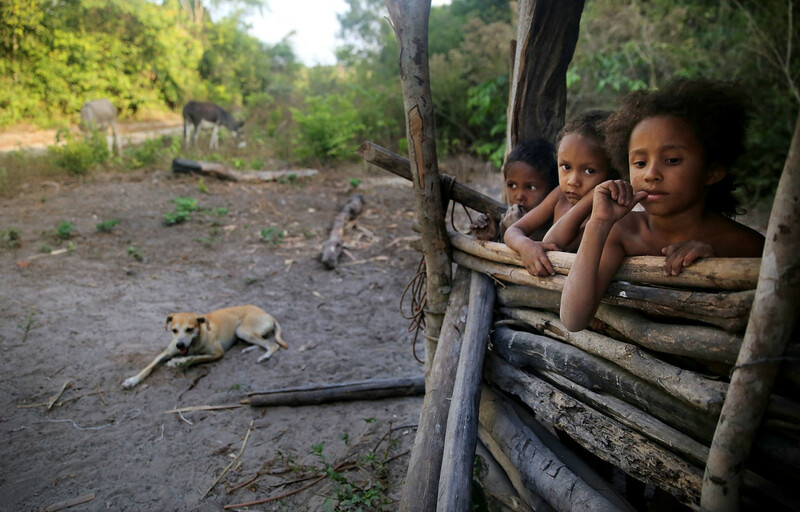 Young members of the Serra family gather in the building where family members make traditional farinha near their home in the Imbiral quilombo, which community members say is being heavily encroached upon by illegal logging and cattle ranching. The elders gather in the entrance room of the matriarch&apos;s home and search in the recesses of their memory for the traditional songs they and their forebears used to sing. A woman rocks her grandson on her lap. Her husband stands silent in the doorway, as an energetic granddaughter races about his calves. Slowly, the residents of the Quilombo—a community made up of fugitive slave descendants known as Quilombolas—piece together lyrics from an old song. It&apos;s been so long since they last sang it. The Taboleirão Quilombo isn&apos;t easy to reach. To get there you must drive a long way through southern Maranhão state, along a dusty, potholed road. When the community was founded at the turn of the 19th century by runaway slaves, it was shielded from authorities by native dry forest vegetation. Today it is caged by soy plantations—a vast crop marching to the horizon. Thirty-nine families live here, all descended from Afro-descendant slaves who escaped their white masters to the relative safety of the remote Cerrado biome savannah. Across Brazil, they and others like them built close-knit Quilombos, steeped in Afro-Brazilian tradition. Estimates suggest there were up to 5,000 Quilombos scattered across 24 states during the 17th and 18th centuries, under Portuguese rule—all hidden from the authorities and bounty hunters. They ranged from the smallest, with just a few dozen inhabitants, to the biggest, Palmares, estimated to have housed 20,000 people after the Dutch invasion of Brazil in 1630. Today, the Brazilian government&apos;s Quilombola Program has mapped more than 3,000 communities, but has provided a mere 40 with land titles. Those land rights are enshrined in the nation&apos;s 1988 constitution, but not honored by a federal government that has dragged its feet and resisted the demarcation and recognition process for decades—resistance that has only worsened under the Temer administration. Taboleirão&apos;s young people sit around in doorways. They get work where they can on the surrounding soy farms, but those jobs are scarce due to the mechanization of industrial agribusiness. 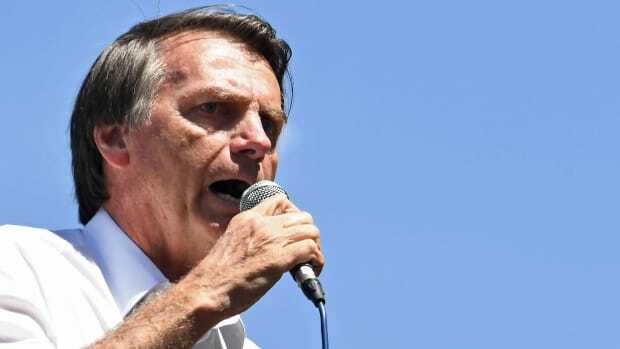 Their lack of employment has been sharply criticized by right-wing politicians like newly elected president Jair Bolsonaro who, as a candidate, recently mocked Afro-descendants living in a Quilombo, saying they "weighed seven arrobas [a unit used to weigh cattle and swine]. They don&apos;t do anything!" Most Quilombolas have little recollection of how rich and fecund their lands once were; Taboleirão&apos;s original settlers grew a diverse range of crops and medicinal plants on a plot spanning five square miles, property for which they logically lacked a deed. As a result, the fertile plain on which their crops grew was usurped through the 1980s and &apos;90s by agribusiness entrepreneurs who claimed the property as their own, first planting rice, then soy. "There used to be lots of people down here by the river, and over there on the flats—it was beautiful," remembers Necir Joaquina da Cruz, 76, who was born on the land and is daughter of the Quilombo&apos;s deceased matriarch. "All of the animals have gone now because of that [agribusiness] project," she said, referring to the Matopiba Agricultural Plan by which the federal government promotes industrial agribusiness expansion and colonization by entrepreneurs from outside the states of Maranhão, Tocantins, Piauí, and Bahia. Even the now-popular regional moniker "Matopiba" is a sign of this colonization; the name comprises the first two letters of each Cerrado biome state, but was contrived by agribusiness to denote its claim on lands once farmed by traditional communities. Today, many of the native fruits that members of Taboleirão and their forebears used to plant no longer exist here. The soy plantations have encroached so thoroughly on the community itself that its croplands have shrunk to just two square mile right along the river. The locals have repeatedly put up a fence to assert their right to this fragmentary parcel, but those barriers are regularly knocked down by their sojeiro (soy-mogul) neighbors. After all, their land by the river is prized—it offers vital irrigation access to the soy plantations during drought. 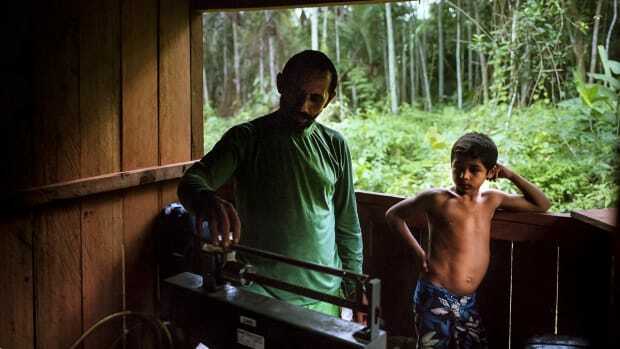 Community leader José Lazaro da Cruz is spearheading efforts to get Taboleirão&apos;s land rights recognized by the Brazilian government so the settlement can fend off further sojeiro encroachment. But it is slow going. Earlier this year, the community received certification from the Associacao Palmares, a governmental body that provides Quilombo certification—the first and arguably easiest step on the long road to a deed. To obtain an official title for land that it has inhabited and farmed for many decades, Taboleirão, and Quilombos across Brazil, must apply to the government via the National Institute of Colonization and Agrarian Reform (INCRA). Taboleirão did so two years ago but has heard nothing back. "The sojeiros are rich. They can get as much land and as many titles as they want, while we can&apos;t get any," José said. Contacted by Mongabay, the INCRA superintendent in Maranhão, George de Melo Aragao, bemoaned the queue of 400 Quilombola communities awaiting recognition in that state alone. Many communities are in line ahead of Taboleirão, which is why INCRA has still not conducted an anthropological study of the community&apos;s land to confirm its historical claims of settlement. "We have very limited funds," Aragao said. "Our team is working hard but staff numbers have fallen following budget cuts over the past few years." Today, there are just nine people working to recognize and title those 400 Maranhão Quilombos, with state demarcation funding plummeting from almost $500,000 in 2016 to $20,000 in 2018. This shortfall reflects a wider national trend of precipitous cuts to Brazil&apos;s redistributive social programs. After President Michel Temer came to power in 2016, he reshaped Brazil&apos;s institutions overnight, with funding for environmental, indigenous, and social agencies and initiatives slashed. That included drastic cuts to the Programa Brasil Quilombola. The program had been hemorrhaging funding for years. PBQ was launched in 2004, largely to help Quilombos gain permanent access to land they&apos;d claimed for decades and sometimes centuries. The national budget for identifying and demarcating these lands fell nationally from $1.6 million in 2010 to $350,000 in 2018. As a result, only one Quilombo received a title in 2016, down from eight in 2014, according to INCRA. Likewise, the budget for reparations—a process by which the government buys back land from supposed private owners in order to return it to the Quilombos—has fallen from $10.7 million in 2013 to $350,000 in 2018. If the government doesn&apos;t pay off landowners holding property deeds—then Quilombola communities remain in limbo. Though their land might be officially demarcated, without reparation payments, community members are still unable to cultivate or even enter their legally recognized territory. Quilombo Grotão, in northern Tocantins state, is emblematic of the effects of these reparation budget cuts. The 19 families living there are eighth generation descendants of runaway slaves who settled on the land. In 1984, the first grileiros, or land grabbers, arrived in the region and began claiming territory and turning it into profitable cattle pastures. It wasn&apos;t long before these interlopers, brandishing purchase documents to prove their claims, overran the property on which the Quilombola families had lived and planted their crops. In 2008, one entrepreneurial couple took their deed to court; a year later a local judge awarded the couple the land and ruled that every Quilombola family be expelled. 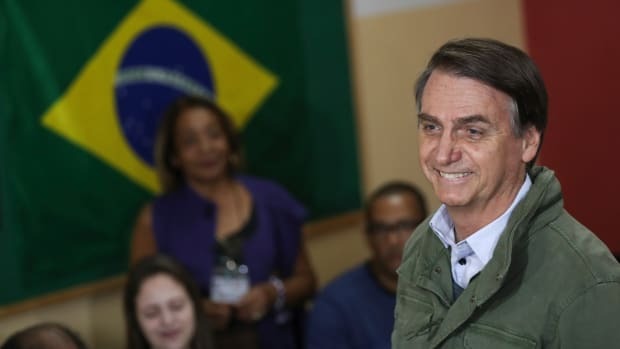 In many cases, local politicians parceled out state land in the Cerrado decades ago, selling it to agricultural entrepreneurs from the south of Brazil. Often this land overlapped with the homes of traditional communities and Quilombos, many of which had been there for tens or hundreds of years. This practice has led to fierce conflicts between the poor, and often poorly represented, land occupiers, and documented "owners" who tend to have strong political ties. "The grileiro and his son came with the police, we didn&apos;t even have time to get our clothes," said Maria Aparecido Gomez Rodriguez, a mother of five and community leader. "They threw many of our things into the flames." Houses were burnt, property destroyed, while gunmen issued threats. "They held a gun to a nine-year-old girl&apos;s head," Rodriguez told Mongabay. The expelled families fled to the nearby city of Philadelphia where they stayed for 90 days. Civil society organizations and non-governmental organizations fought for their right to return and eventually the same judge agreed to grant them 100 hectares, less than half a square mile, not nearly enough for all the families to grow crops and subsist. After that, many families dispersed out of fear, or because their means of survival had been denied. Finally, in 2010, after numerous appeals, INCRA conducted an anthropological study of the area and determined that seven square miles rightly belonged to the Quilombo. It was a bittersweet victory, with much of what made Grotão a community—its people, cultural traditions, and spirit—scattered and lost in the intervening years. Nonetheless, Grotão residents still cannot reclaim their land. INCRA must pay off the 14 landowners who hold deeds to various parcels. "Our hope is that this community will always be here, even after we die, and that INCRA gives us our land so that we can rescue our culture, our medicine, our modes of production," Rodriguez said. At present, the Grotão families aren&apos;t even allowed to visit the ancestral cemetery to pay respects to their dead, as it lies within property claimed by the two farmers who tried to expel the families in 2008. In a darkly retaliatory move, the couple scavenged wooden crosses from Quilombola graves to build a fence bordering the property to which they feel entitled. 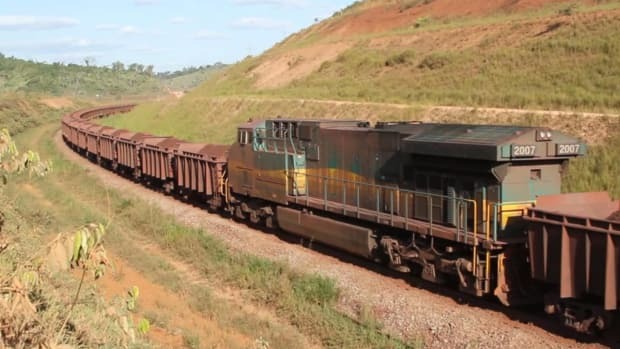 The superintendent of INCRA for Tocantins, Carlos Alberto da Costa, says that the regional office doesn&apos;t have the funds to compensate the 14 landowners; only one pay out has been offered so far. He admits that not a single Quilombo in Tocantins state has been awarded a land title, though two are in their final processing stages. Across Brazil, 3,123 Quilombos have been certified by the Palmares Association. To date, more than 1,700 have called on INCRA to demarcate and title their territories. Of this total, INCRA has demarcated only 260, with a mere 40 receiving definitive titles. 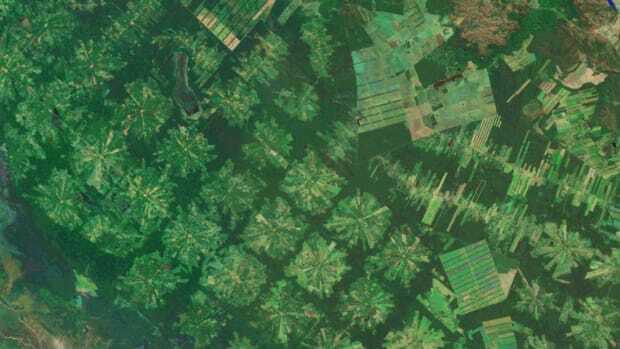 "The stance signaled by the Temer government is that they do not want to advance one millimeter in the recognition of Quilombola territories," said Acácio Leite, an INCRA forestry engineer. "What we&apos;re seeing in this government is a denial of rights and a complete relativization of the federal constitution." According to Brazilian law, Quilombola communities are entitled to more than just the land that they&apos;ve settled on and used for years. The Brazil Quilombola Program, created under President Luiz Inácio Lula da Silva in 2004, commits the government to helping provide adequate infrastructure to these communities, including roads, schools, sanitation, and electricity. What&apos;s more, where possible, the government should support Quilombos&apos; means of production, which includes agriculture, crafts, and food production. However, none of these support services are available to Quilombos until they&apos;ve received their official land titles, which only a small fraction have to date. For that reason, members of the Taboleirão Quilombo teach their young in a dilapidated school building. They&apos;ve appealed to local government time and again to construct a new school, but their pleas have gone unanswered. The dirt road leading to the community is in disrepair and ruined by speeding trucks loaded with soy, leaving the locals in choking clouds of dust. None of this can be remedied under the Brazil Quilombola Program until the community receives its land title. But the process ahead seems just as obscured and treacherous. "The physical, social, economic, and cultural reconstitution of Quilombola communities is only possible via access to land," Acácio Leite said. Access that government policy and intransigence seems designed to block. Leite noted that attempts to change the law around Quilombola rights has largely been unsuccessful, "and so [officials] have tried to put up other obstacles to recognition of these territories"—cutting off resources is one effective method. The Brazilian government&apos;s Ministry of Human Rights issued a statement to Mongabay outlining many of the advances that have been made in Quilombola policy over the past few decades, which "translate into a positive legacy for the period of Brazilian democracy." However, they concede that "the country has not yet overcome the social inequalities that afflict traditional communities. Thus, it is necessary to advance the efficiency of public policies to consolidate the rights of these groups." The ministry states that it is trying to obtain $50 million for INCRA at present, and it estimates the cost of paying reparations to land owners at somewhere around $156 million. One of the great challenges of the quilombos land regularization policies is the overcoming of racism and social inequalities in Brazil, with integration and synergy of federal government actions in partnership with states, municipalities, and society with a view to greater policy efficiency. "Quilombos are in a much worse situation politically than they were just two or three years ago," concluded Givania Silva, who is on sabbatical from work on Quilombola policy for the federal government. "The government has given the green light to agribusiness, and no support whatsoever to those trying to resist its advances. With INCRA&apos;s hands tied, there isn&apos;t even an organ for threatened Quilombolas to turn to." Anna Sophie Gross is an investigative journalist with a focus on human rights, the environment, and Brazil. Brazil's diverse range of land defenders are holding back against illegal logging simply by living as they do. The Temer administration and Congress, controlled by the bancada ruralista agricultural lobby, is trashing environmental, indigenous, and social rights.